Multiple news stories and headlines at the end of 2016 spoke of the federal government’s warm relationship with those residing in the Kremlin, Moscow, Russia. 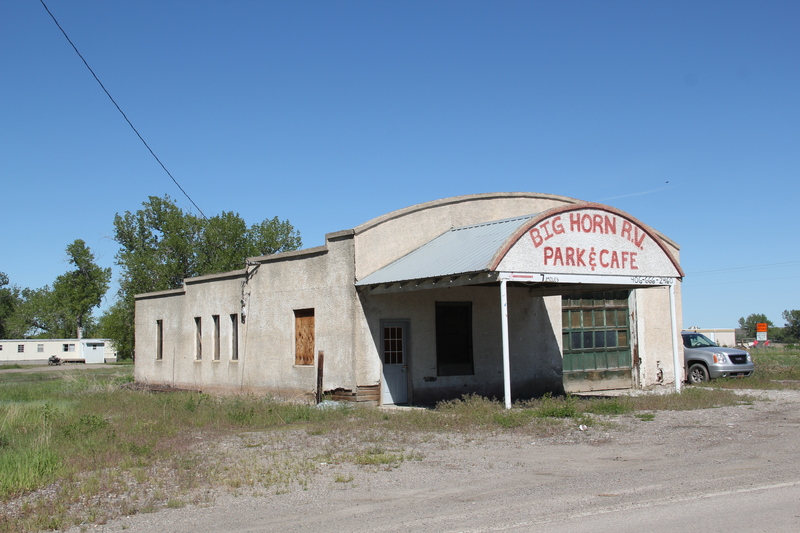 Have no idea of what the federal government’s new relationship with the Kremlin in Moscow might mean, but it did get me thinking that, perhaps, on the off chance, it might bring new federal attention to the Montana Kremlin–a tiny Great Northern Railroad town in Hill County. The federal government first impacted this place in 1911 after it threw open the old Fort Assiniboine reserve to homesteading. 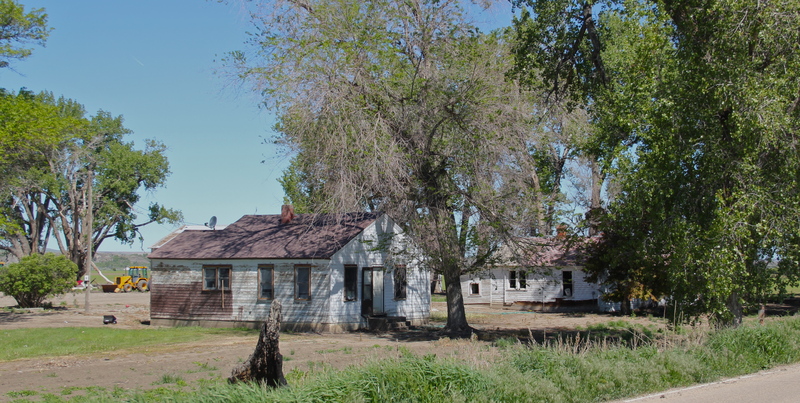 The railroad had maintained a stop here as early as 1901 but with the federal opening of new land, permanent settlers came to carve out their new homesteads. Kremlin never grew to be much, perhaps 300 residents at its height (around 100 today), not because it never participated in the region’s agricultural boom–the decaying elevators speak to prosperity but a tornado and then drought doomed the town to being a minor player along the Great Northern main line. During the Great Depression, the federal government made its second impact on the town. 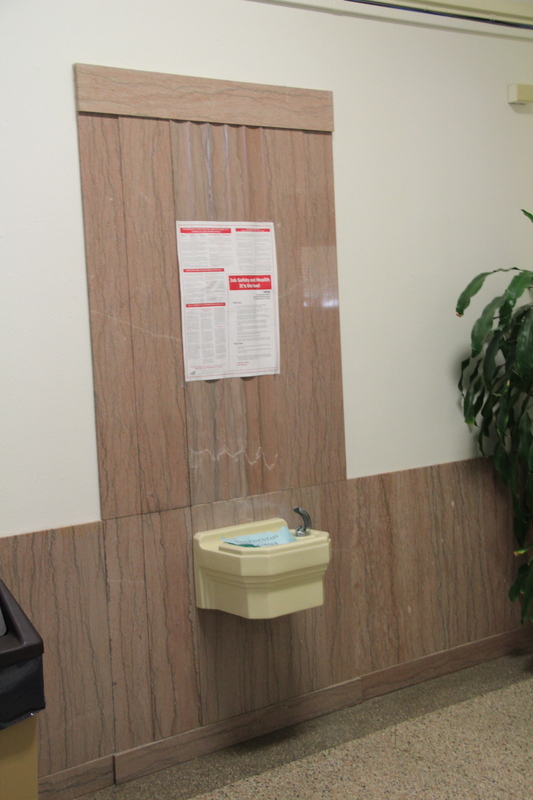 New Deal agencies installed a new water system. 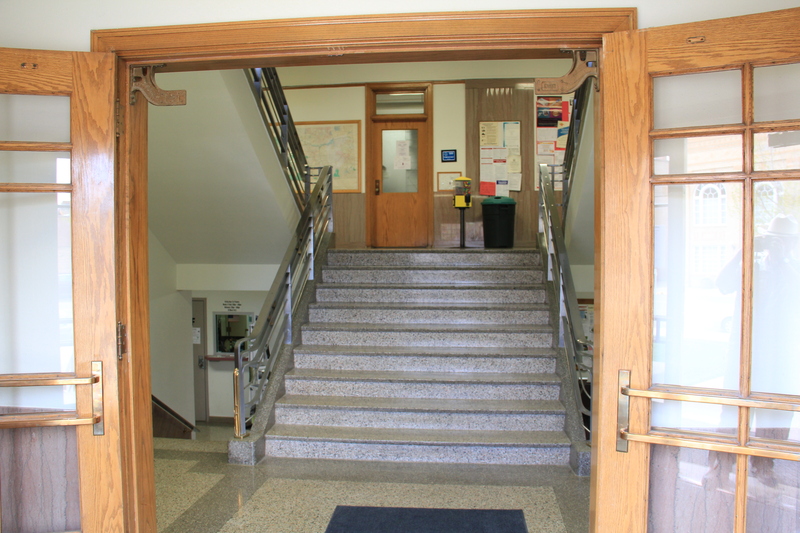 Funding from the Public Works Administration led to the construction of a new school in 1937-38, an institution, with changes, that still serves the community. 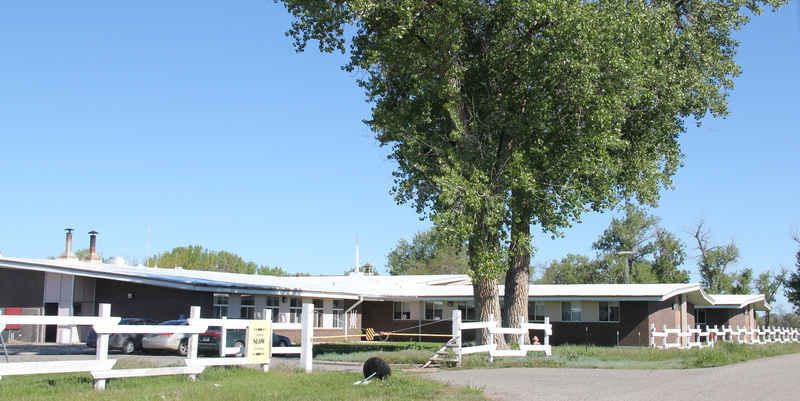 I have wondered if this separate building on the school yard was built as the lunchroom–it is similar to lunchroom buildings I have found in the South, or was it built as a teacher’s residence. You find that in the northern plains. sun. Note the classical cornice at the top of the roof line–this entire decorative scheme belongs more to the late 19th century but here it is, in Kremlin, from the 2nd or 3rd decade of the 20th century. Kremlin’s Lutheran Church (below) in 2013 was holding services every other week in the month, while the Methodist (?) Church had already seemingly closed its doors. 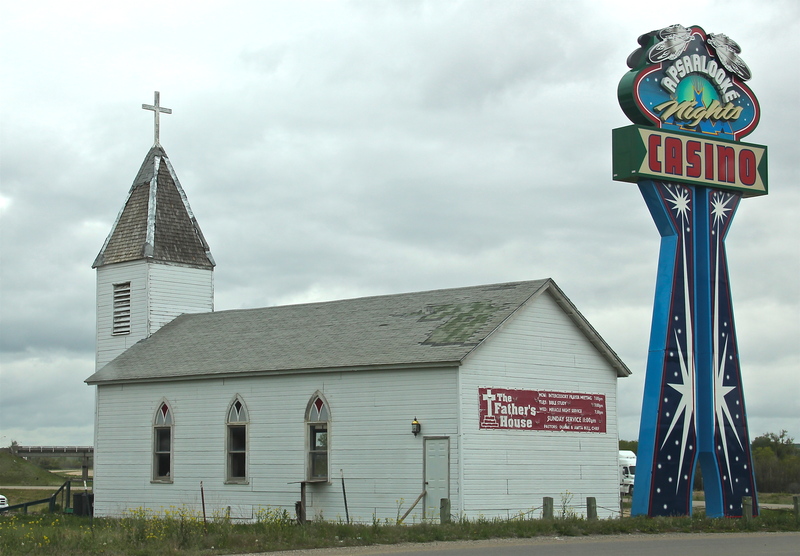 Religious freedom thrives in Montana’s Kremlin, probably not so much in that other Kremlin. The last time Kremlin directly felt the hand of the federal government was in this decade, when the U.S. Postal Service, which had been building new small-town facilities like the one in Kremlin below for a decade, announced that it needed to close hundreds of rural post offices. Kremlin residents joined their neighbors in protest: and the federal backed down. When I last visited Kremlin 3 years ago, I mailed a letter from its post office. Persistence, commitment, community mark the Montana Kremlin–maybe that’s why I would rather hear about this place in Hill County than that other one, which suddenly new decision makers are courting. 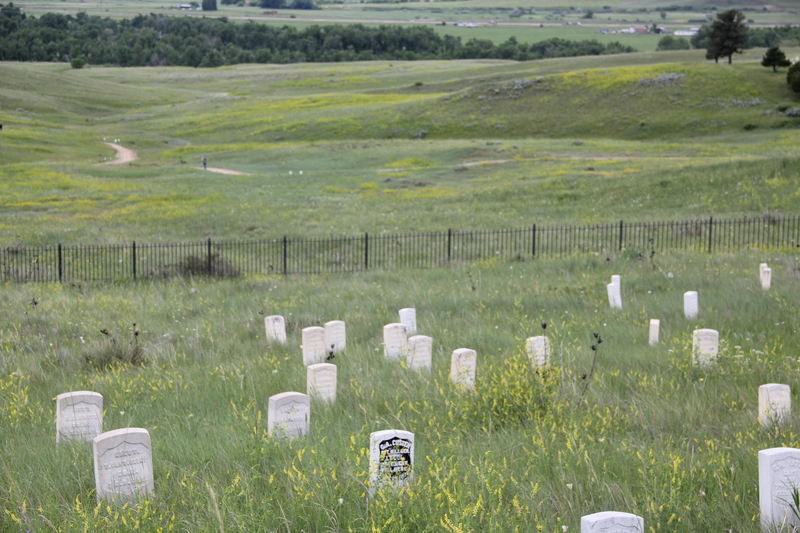 Custer and his troops had stood for almost 100 years. As a veteran visitor to southern Civil War battlefields, it struck me how what you saw and experienced was all about the federal side–similar to what you found back then at southern Civil War memorial parks, where valiant Confederates fought what seemed to be a foe with no name outside of enemy. This quotation from Theodore O’Hara’s “Bivouac of the Dead” is found in many Civil War era national cemeteries. 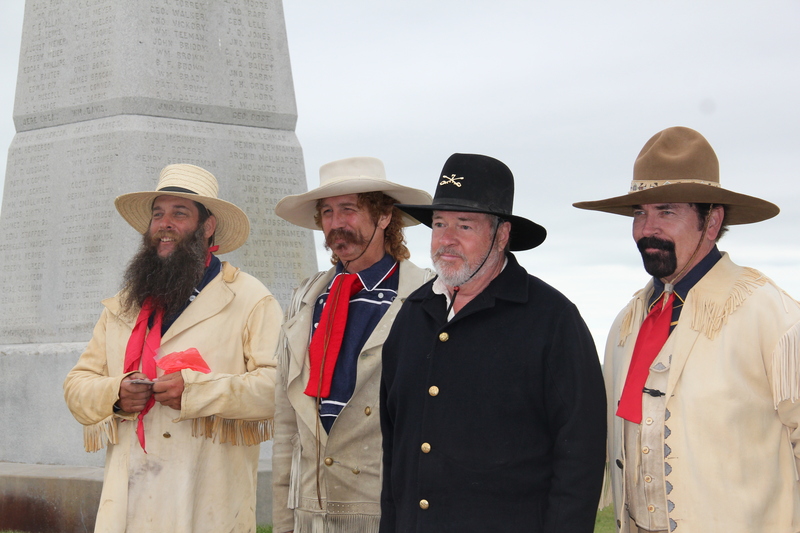 Over the decades I have returned to the battlefield numerous times, even once (by accident I hadn’t even thought that the day would be an anniversary) when re-enactors posed by the famous obelisk monument, creating a very odd juxtaposition between past and present. 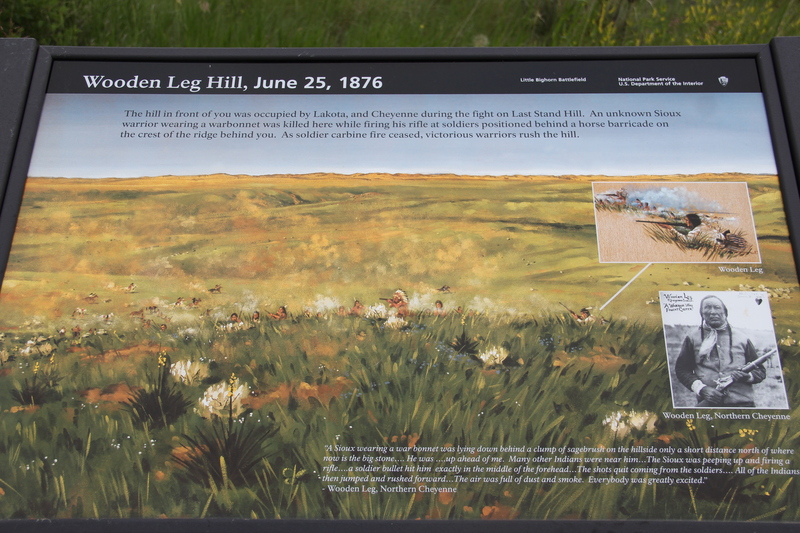 (I don’t think Custer and his men were smiling on that hill in 1876). 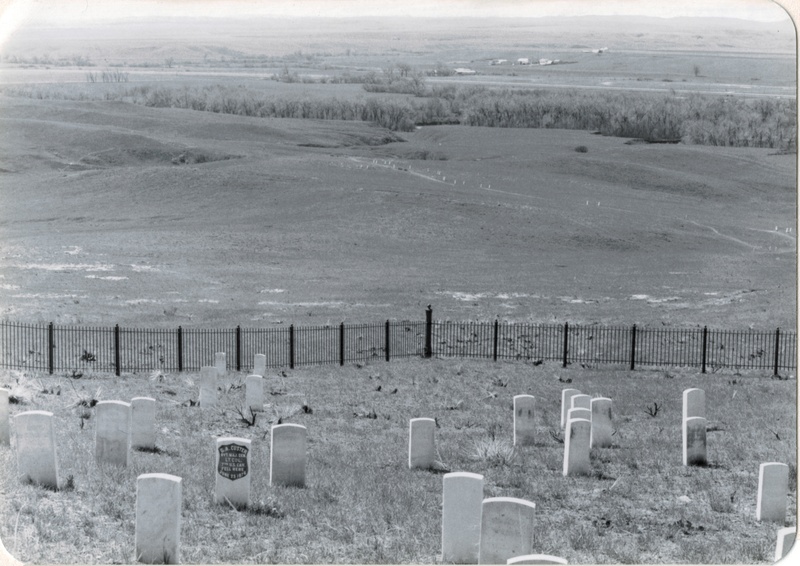 By this time, meaning at the battlefield had shifted to a larger, more inclusive narrative, beginning with the actual name of the park, now Little Bighorn Battlefield. Public interpretation, fueled not only by the changing times but an intensive archaeological investigation of the park in the late 1980s, suddenly located Native Americans within the battle landscape. There was a growing feeling that yes this was a battle between enemies, but enemies with names, motivations, and their own sense of what it all meant. 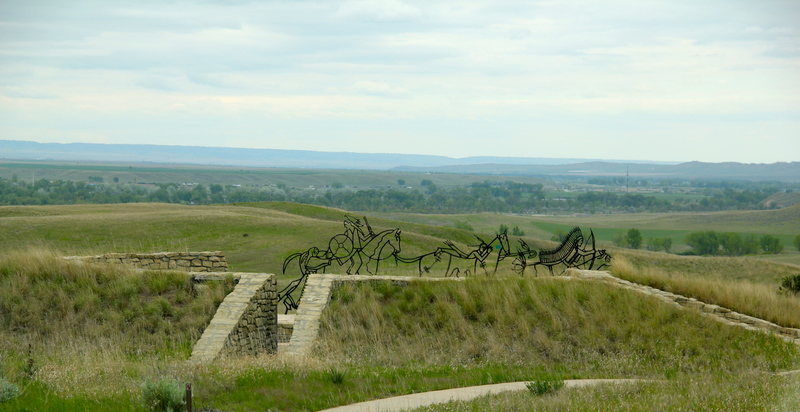 Last Chance Hill was still a focal point in 2015 but now its narrative of unity and sacrifice was countered by a new monument, built to consider the story of Little Bighorn from the perspective of the Native American warriors who fought here. 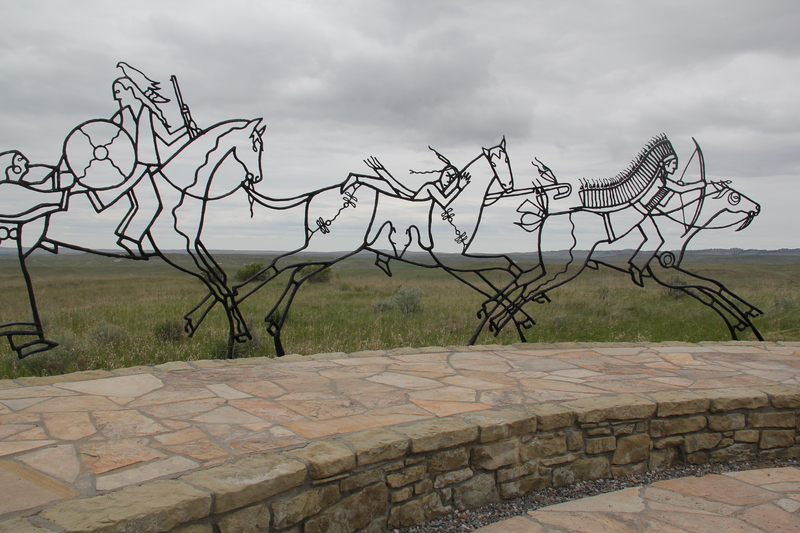 The monument compels reflection—the metal profiles of Native American warriors blend into the actual battlefield landscape as if ghosts of warriors past were again upon the field. 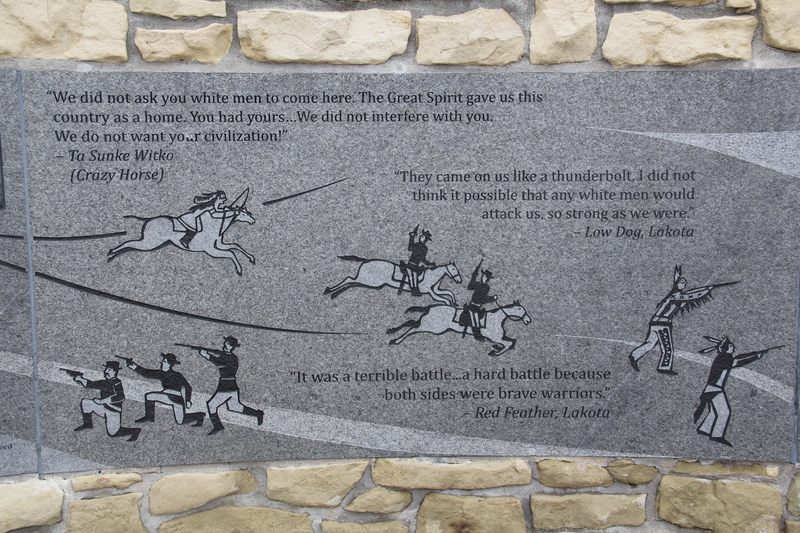 Text and images add additional layers of interpretation and meaning to the battlefield, from a decided Native American perspective. 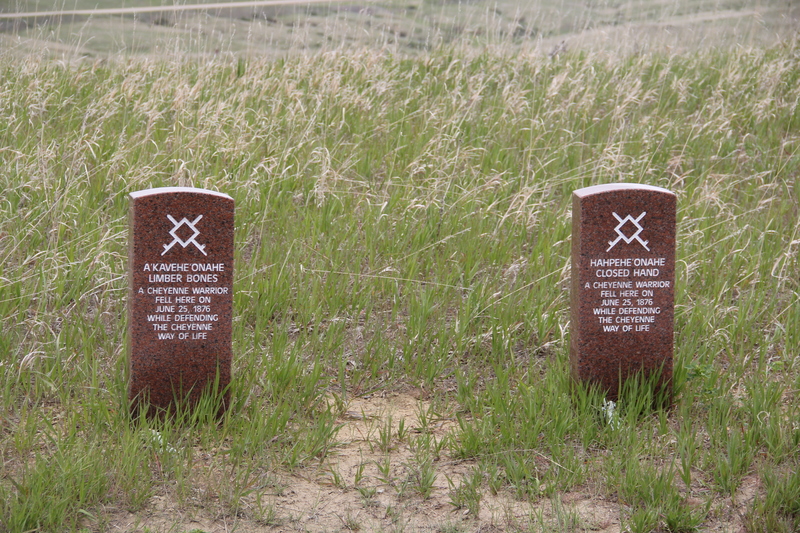 Then new tombstones, in a brownish stone, distinguished fallen Cheyenne warriors from the marble tombstones for soldiers from the 7th Calvary. 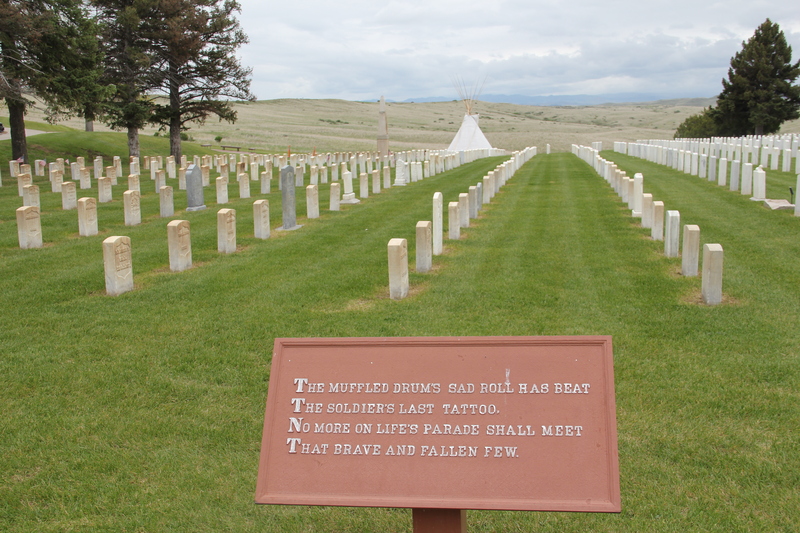 The place has been ennobled, transformed as a both a park and a place of reflection on what the Indian Wars of the 1870s have meant to the nation and to the peoples who fought in them. Nearby within Crow Agency is a further addition to the public interpretation of the region’s military history: the exemplary Apsaalooke Veterans Park, an installation that celebrates veterans past and present. At the I-90 exit for U.S. 212 at Crow Agency, a new landscape has emerged through spaces such as the park, the new Apsaalooke casino, and especially the modernist styled medical center, located near the fairgrounds for the annual Crow fair. The sparking bright lights of casino sign stand in stark contrast to the old mission church, now The Father’s House place of worship. In the middle of the Crow Indian Reservation is another landscape of change, one not so visited by tourists. 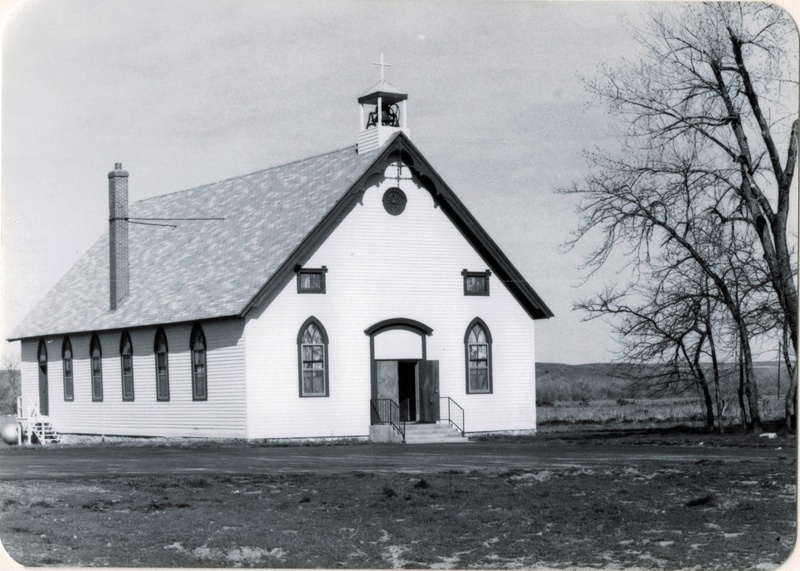 St. Xavier was an important Catholic mission among the Crow Indians, established along the Big Horn River in 1887-1888 by Father Peter Prando. 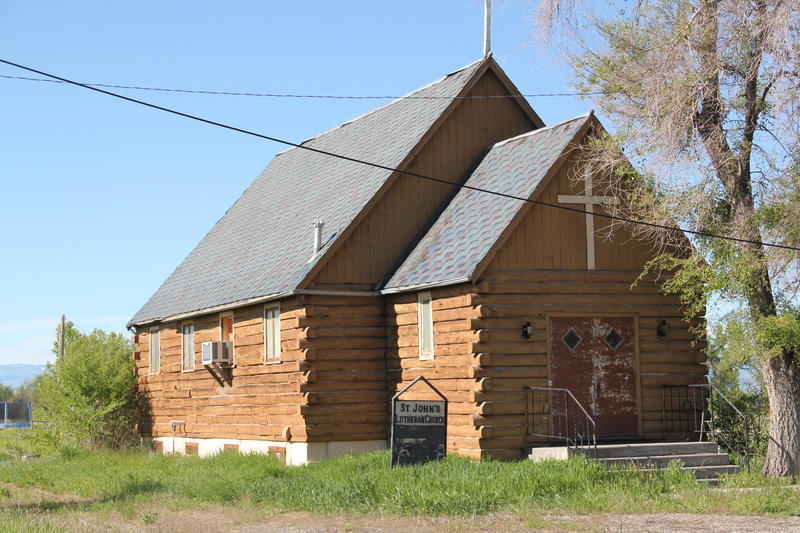 The understated Gothic-styled church was a building documented in my A Traveler’s Companion to Montana History book in 1986 and the survey included both the church and small gable-front residence built for the priests. the mid-20th century St. Xavier town site has not weathered the decades so well. 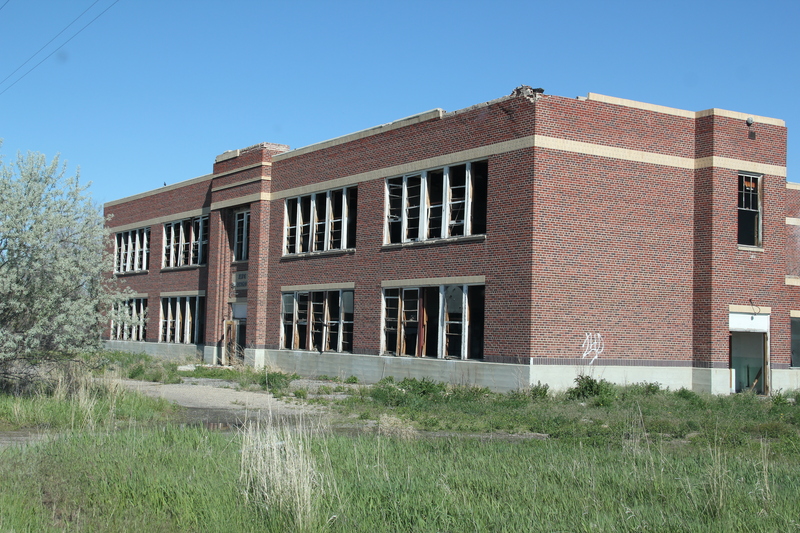 Businesses have largely disappeared and the Art Deco-styled St. Xavier public school, a Public Works Administration project from the New Deal designed by Billings architect J.G. Link in 1938 is now abandoned and decaying. nearby is one of many irrigation ditches that promised the transformation of the Big Horn Valley for 20th century homesteaders but as the forgotten ranches surrounding St. Xavier remind us, the irrigated empire of eastern Montana did not bring riches to everyone. Transformations and shifting meanings of the past from the perspective of the present make the Big Horn a fascinating place to explore. 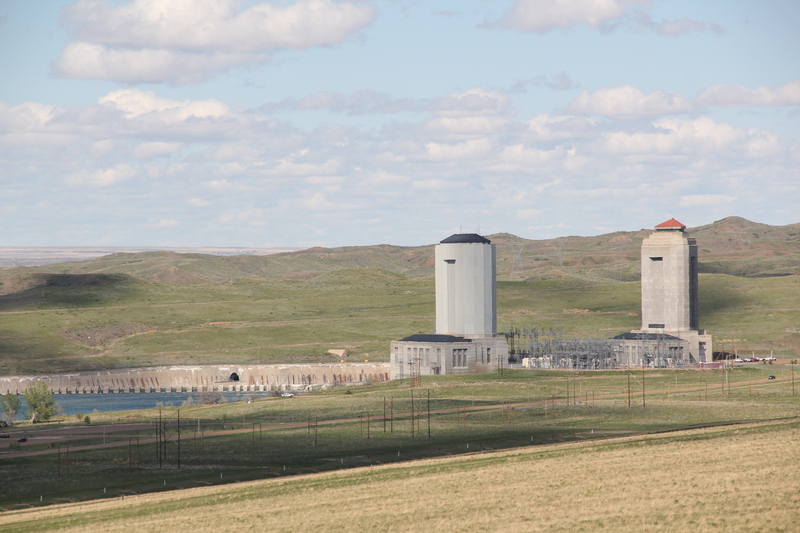 The southern end of Valley County has forever transformed by the construction of the Fort Peck Dam, Powerhouse, and Reservoir during the New Deal of the late 1930s. 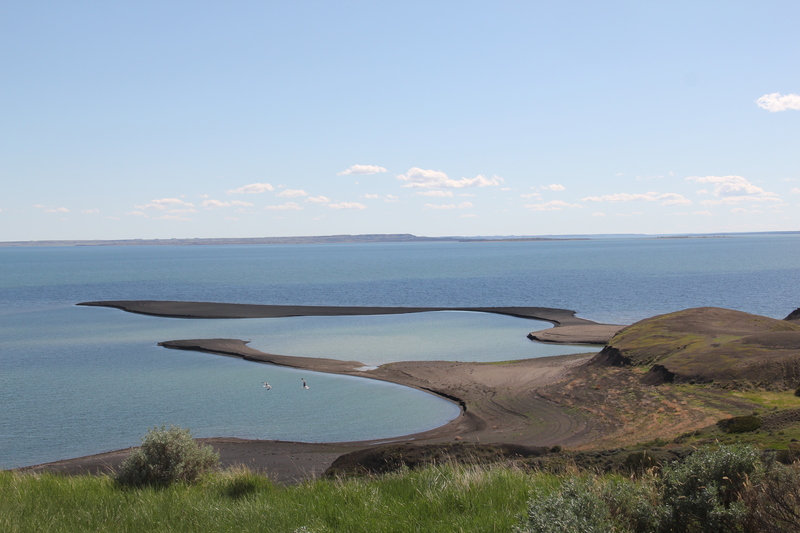 The huge construction project, building an earthen-filled dam across the river near an old fur trading post, employed tens of thousands of Depression-era workers and left a permanent federal imprint in the lake, the huge, iconic concrete spillway, and the village of Fort Peck. 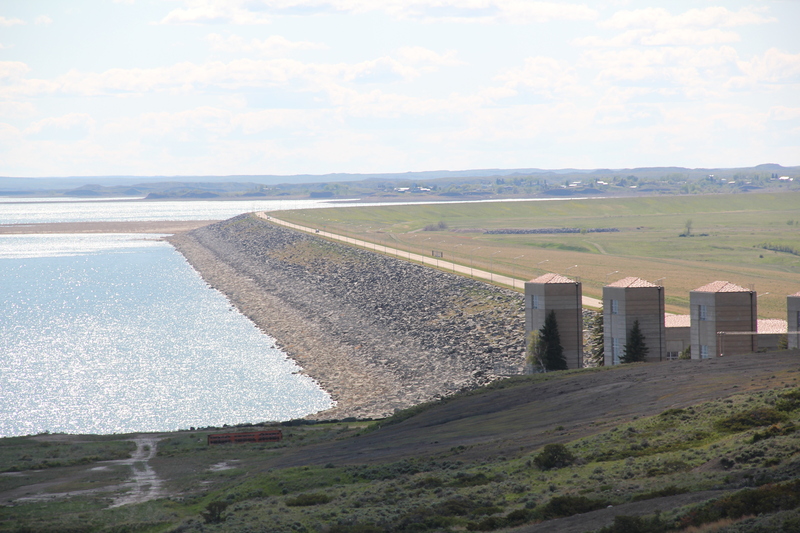 the top of the dam, the high vantage point of the Montana plains is spectacular, and a reminder of just how radically the dam changed the Missouri River Country. An interpretive kiosk–in need of repair and refreshening–tells of the Lewis and Clark Expedition and what it found and learned. But as soon as you turn to the east, it is not a open, wild landscape, but one dominated by the soaring towers of the power plant turbines, two concrete and steel obelisks to the 1930s ability to transform, and that decade’s faith in hydroelectric power. The Corps of Engineers has recently opened a full interpretive center, not only about the dam’s construction but of the environment and wildlife of the region. 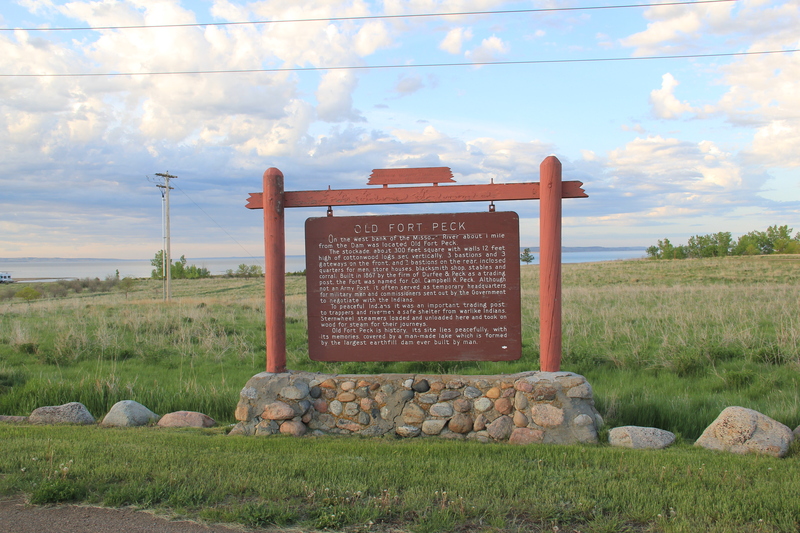 But the story of the federal imprint is most graphically portrayed in the village of Fort Peck, built for the key administrators and officials of the project as well as important guests in the 1930s. We will look at that story next. 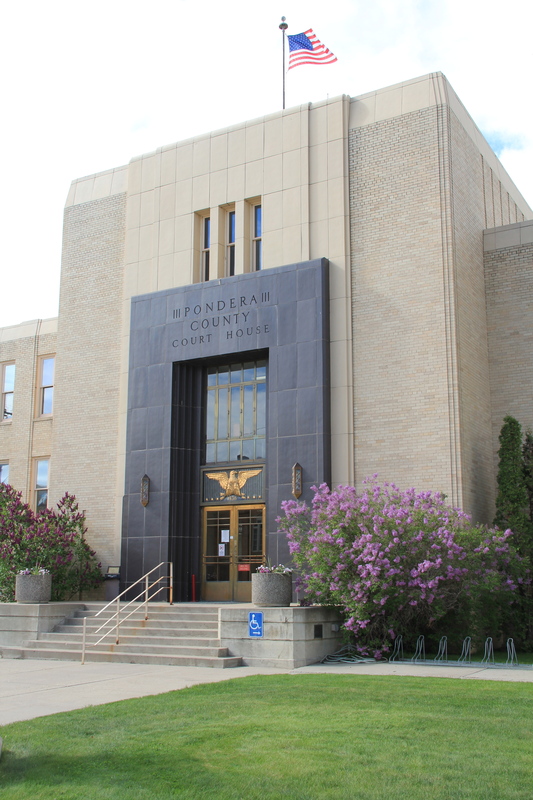 The Pondera County Courthouse is a Public Works Administration project of 1938. Located in Conrad, which served as the seat of government for the recently created (1919) Pondera County, the courthouse stands across the street from the National Register-listed City Hall, a building which for the county’s first generation served as a catch-all public building for this agricultural community. Neither the city hall nor the courthouse lie at the center of town–the railroad tracks and passenger depot were the focal point of the original town plan. Both public buildings are about a block away from the town”s primary commercial crossroads. Architect Angus V. McIver of Great Falls designed the courthouse in the PWA Modern style found in New Deal projects across the country. McIver, born 1892, attended public schools in Great Falls and then took a combination degree in architecture and engineering at the University of Michigan. McIver had started his practice in 1915 as part of the firm McIver & Cohagen. He served in the military during World War I and then returned to Montana and took his architectural license in 1918. 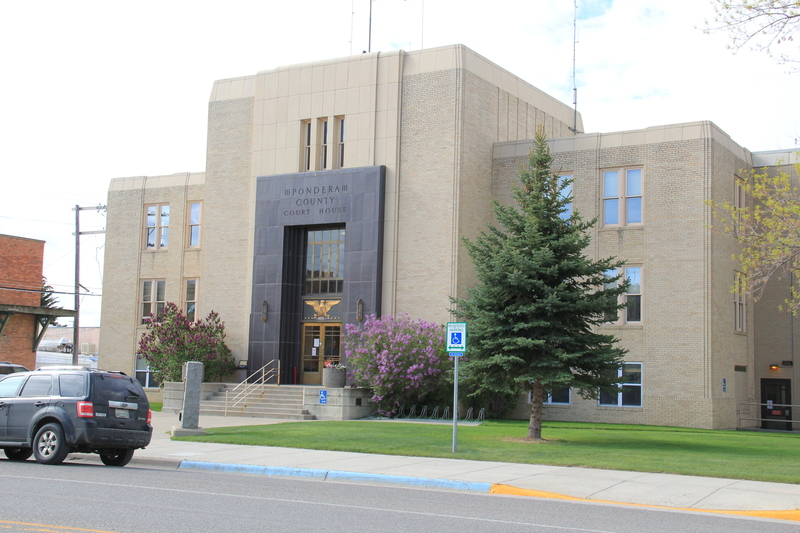 When McIver took on the Pondera County Courthouse project, he already had experience with federal projects, having been one of the principals with the U.S. Post Office and Courthouse at Billings. 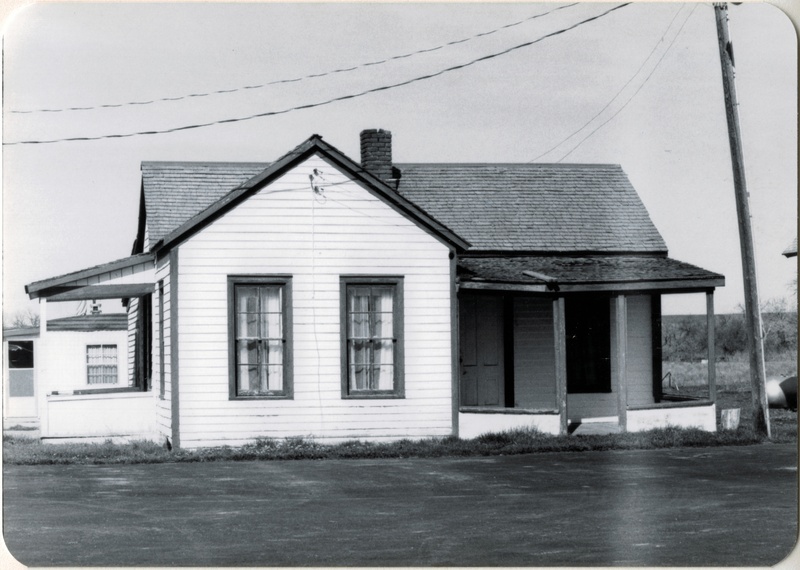 After the Conrad project, he took on a public housing project in Great Falls. 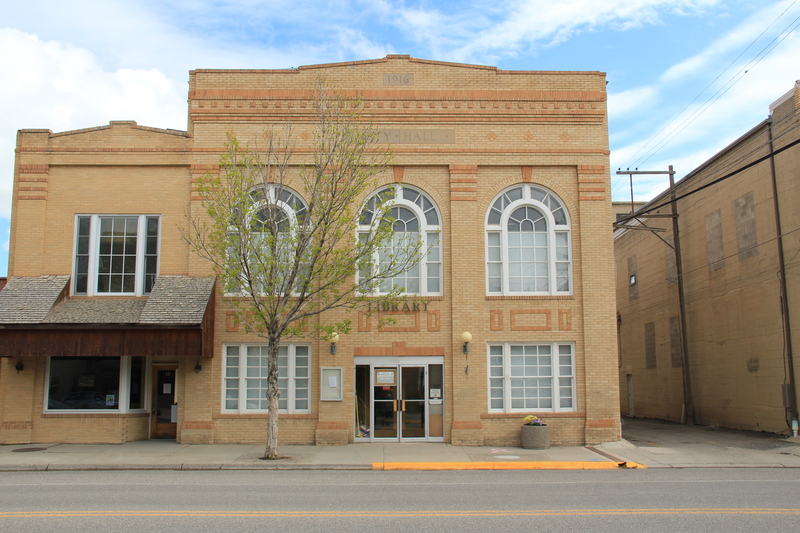 McIver also designed the historic library building for the University of Montana and the Glacier County Courthouse, another New Deal project, in Cut Bank. During World War II, McIver was a principal architect for the East Air Field (now Malmstrom AFB) in Great Falls and the much more controversial Heart Mountain Relocation Center (a Japanese internment camp) near Cody, Wyoming. A dedication plaque in the entry hall notes the county commissioners for the project: Walter M. Brophy, chairman; Walter Banka; W. C. Collins; and the clerk of the board, Adolph L. Rachac. Contractors were Lease & Leigland, J. H. Hubbard, and the Palmquist Electric Company. The plaque also proclaims that the courthouse was “dedicated to the citizenship of Pondera County for the purpose of keeping the records, enforcing the law and upholding justice.” Many New Deal era buildings have lost their dedication plaques over the decades; this one expresses the hope and determination of a community that had been bombarded with difficulties during the Great Depression. A county history from 1968 noted: “the anxious days of the thirties affected Conrad as they did all other parts of Montana and the nation. Not too much progress was made. Banks and many businesses closed, jobs were scarce and so was money” [Pondera History Association, Pondera (Great Falls, 1968), 53]. The courthouse in Conrad is one of McIver’s most intact architectural achievements. The blending of Art Deco styling within a general classical composition characterized PWA Modern style, and the Pondera County Courthouse is excellent, intact representation of this 1930s architectural movement. 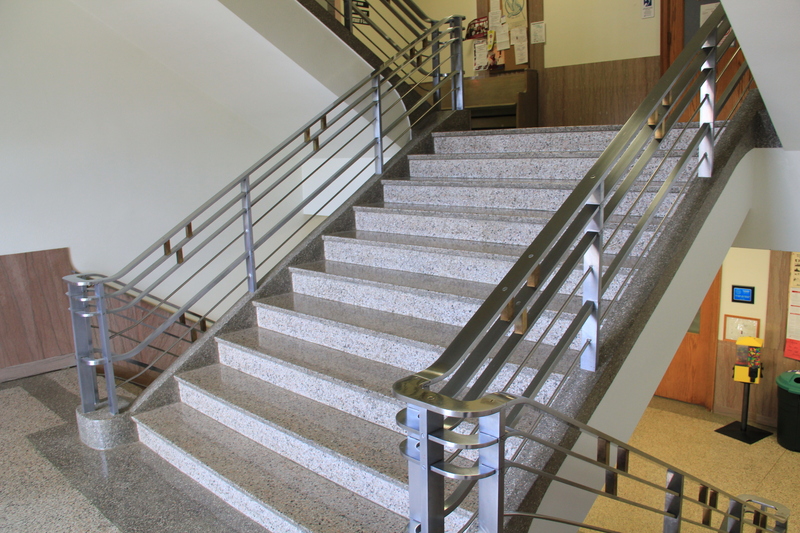 Key architectural details include the use of streamlined metal stair-rails throughout the building; the sleek stone wainscoting in the public areas, even the Art Deco-influenced water fountains. 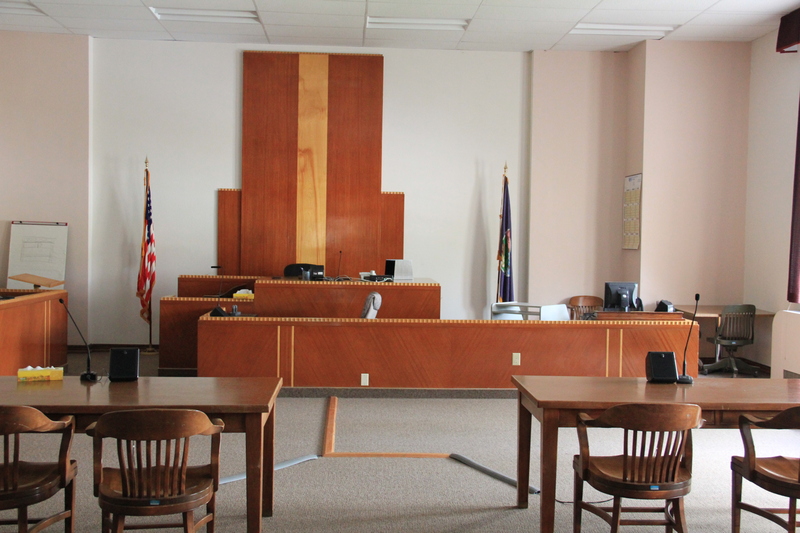 The courtroom is a major achievement, with its Art Deco-styled bench, jury box, and the movie theater-like seats for the public. 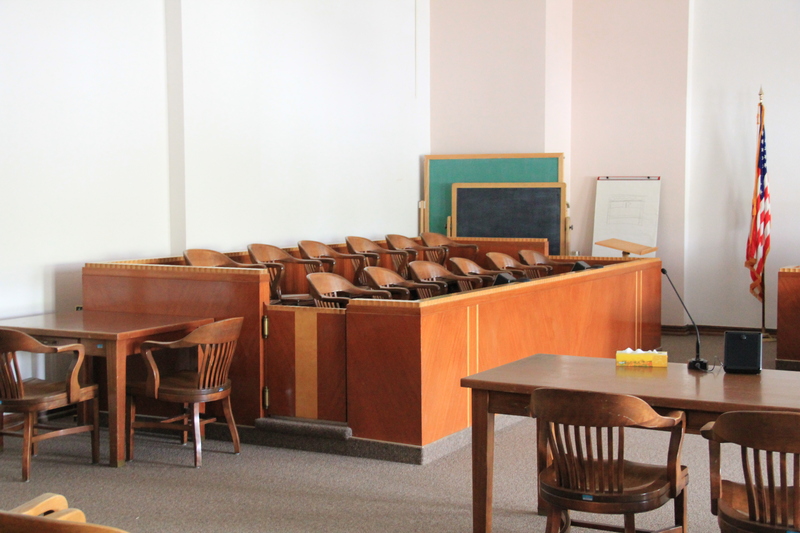 Many New Deal courthouses survive but often the interiors have been renovated to either remove or obscure the original craftsmanship of the 1930s. Not so with Pondera County Courthouse; it is an exceptional public property in northern Montana.